As technology advances, there becomes an increase demand for customer service support via various channels. 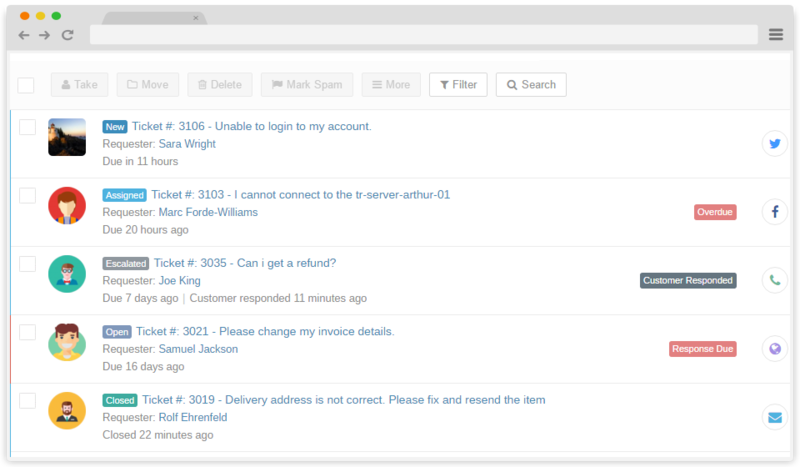 With Trakdesk, you can effectively manage your customers issues and interactions from multiple channels. These include your customer support portal, emails and SMS, all in one unified view and easy to manage. This enables you to reach out to your customers and resolve their issues no matter where they are, or what channel they feel most comfortable with reaching out to you. Providing customers with a dynamic support system ensures customer satisfaction throughout the support experience, as customers will feel more confident reaching out for support if you are using a system that they are familiar with. 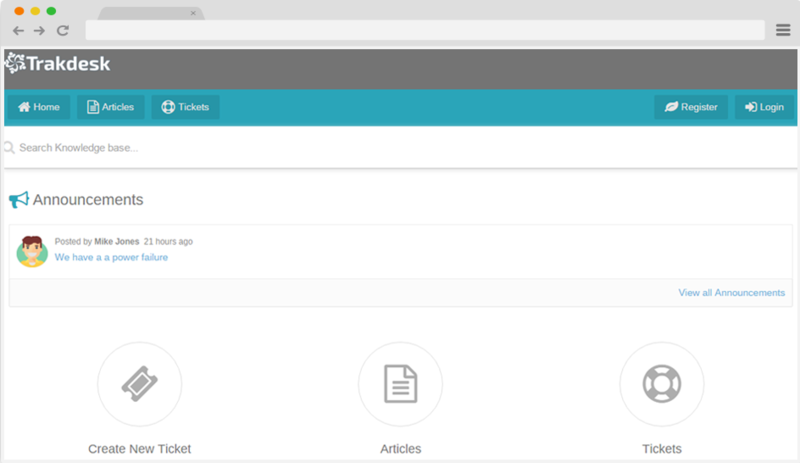 Stop supporting your customers from conventional email accounts and upgrade to one of the most robust email and ticket management software. 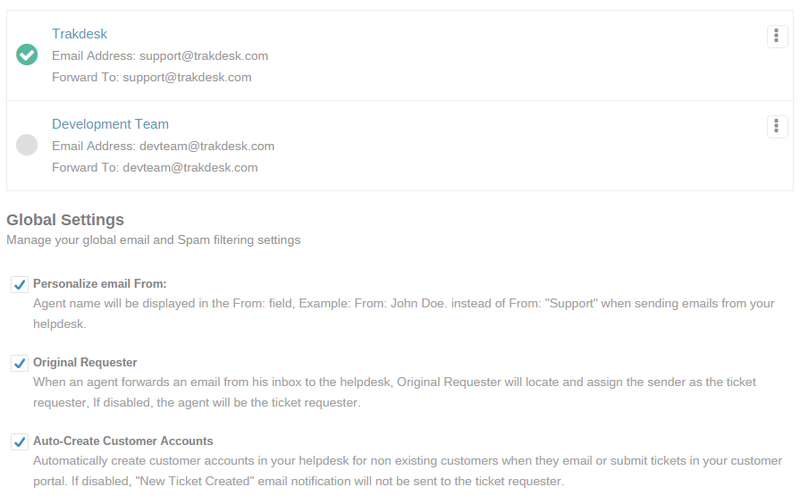 With Trakdesk, emails from your customers are automatically converted into support tickets, prioritized, categorised and assigned so that they get to the right support team. Trakdesk allows you to create unlimited personalized incoming and outgoing email account so that you can support all of your brands. Additionally, you can enable email personalization so that your agents name will be displayed as the "From:" name when sending emails from your helpdesk. This will create a more personal connection between your agents and customers and ultimately increase customer satisfaction. 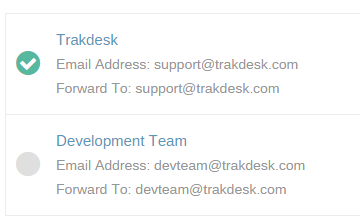 While email is the most common channel used for customer support, at Trakdesk, we have stepped it up a notch and integrated SMS support. 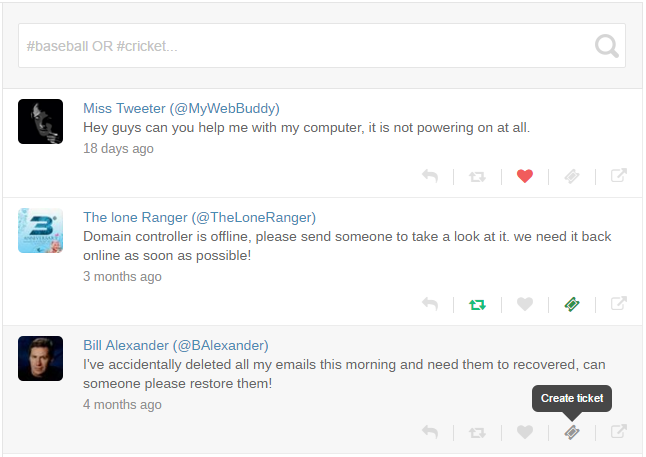 Now your customers can request help and update their support tickets via SMS interactions. 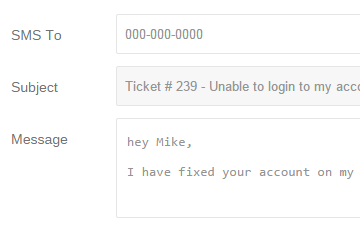 You can also reply to customers SMS messages directly from your helpdesk. With Trakdesk, you can create an awesome customer support portal and mesmerize your customers while providing answers to their questions and problems. 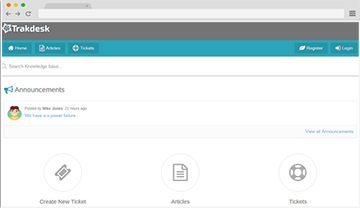 Customers can also log into your customer portal to manage and update their tickets, create new support tickets, upload attachments and access your knowledge base to find answers to their questions. It's no secret that customer expectations are growing every day. As such, many companies has no alternative but to expand their support channels from conventional email and web portal to social media platforms such as Twitter and Facebook so that they can support their customers where they feel most comfortable..
With Trakdesk, you can now support your customers where ever they are. 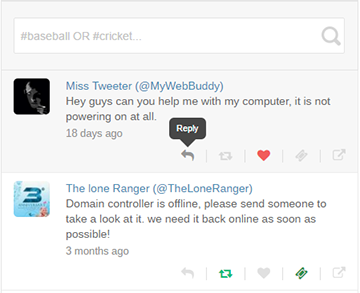 Tweets and Facebook messages can automatically be converted into support tickets and assigned to the correct team. Additionally, Agents and customers can interact within each support ticket via all customer available channels, allowing you to capture all interactions so that nothing slips through the cracks.